As always, I love my monthly deliveries of Degustabox* goodies. Not knowing what I'm going to get always thrills me, but sadly, September's box wasn't really to my taste. There were a few snacks that I did really enjoy, so it wasn't completely bad. 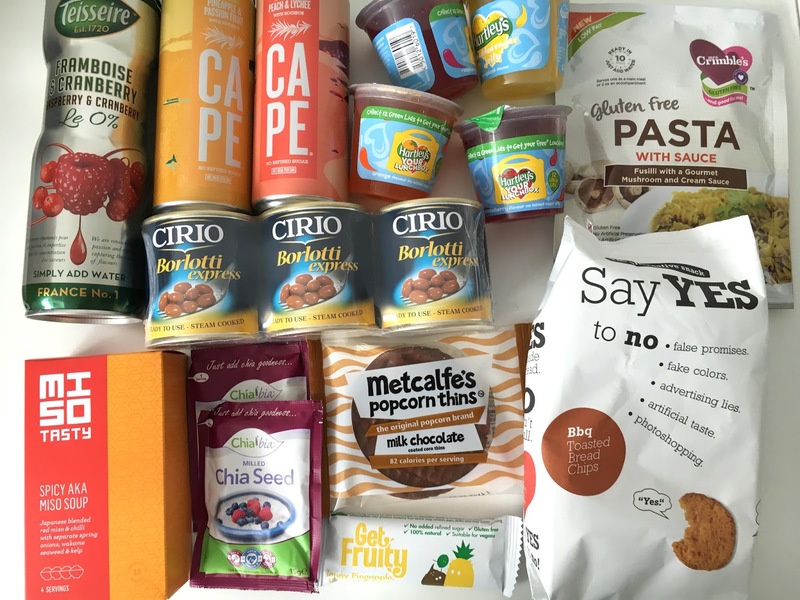 Let's take a look at this month's box. 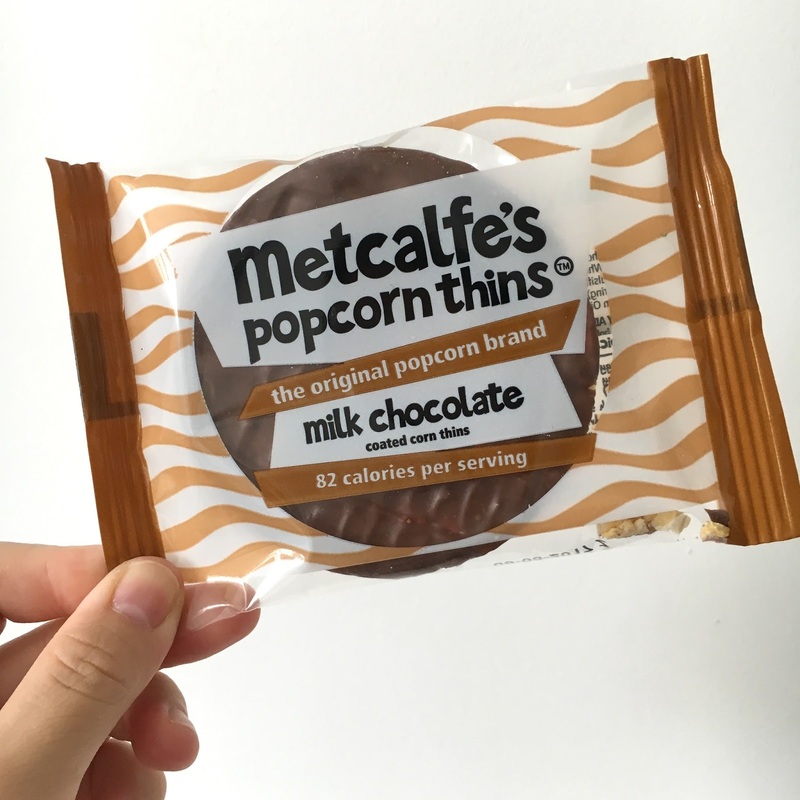 Metcalfe's Popcorn Thins. I adore these sweet crackers from Metcalfe's and I'm no stranger to them. These are made from popcorn and topped with the finest Italian chocolate. The popcorn thins are just as good as their rice cracker versions, if not better! 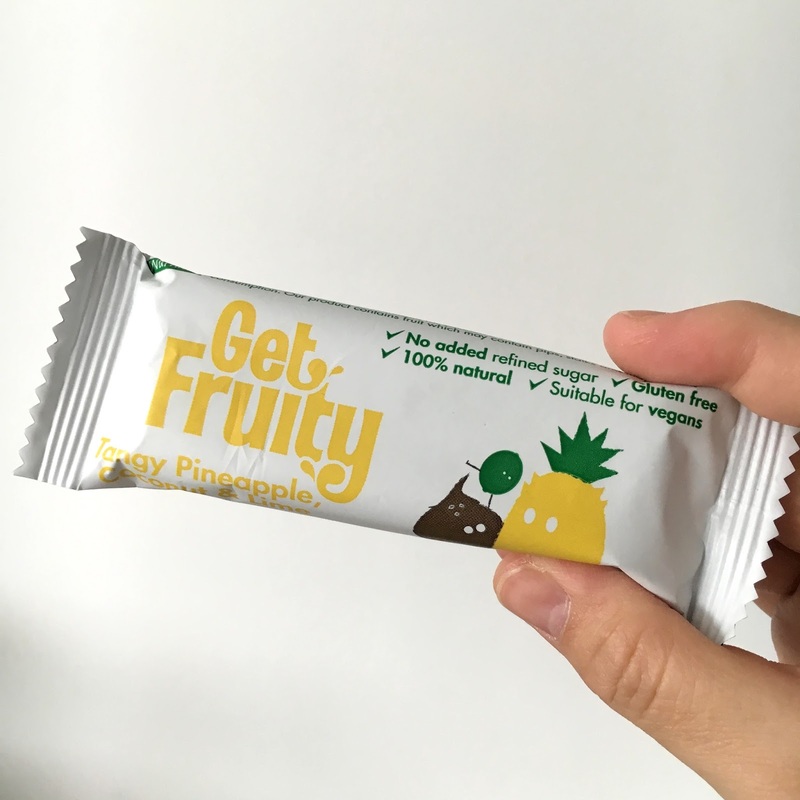 Get Fruity Bars. This has to be one of the only cereal bar brands I love. It's a soft bake packed full of fruitiness which isn't on the tart side. This Pineapple, coconut and lime one is delicious. They come in 6 different flavours. 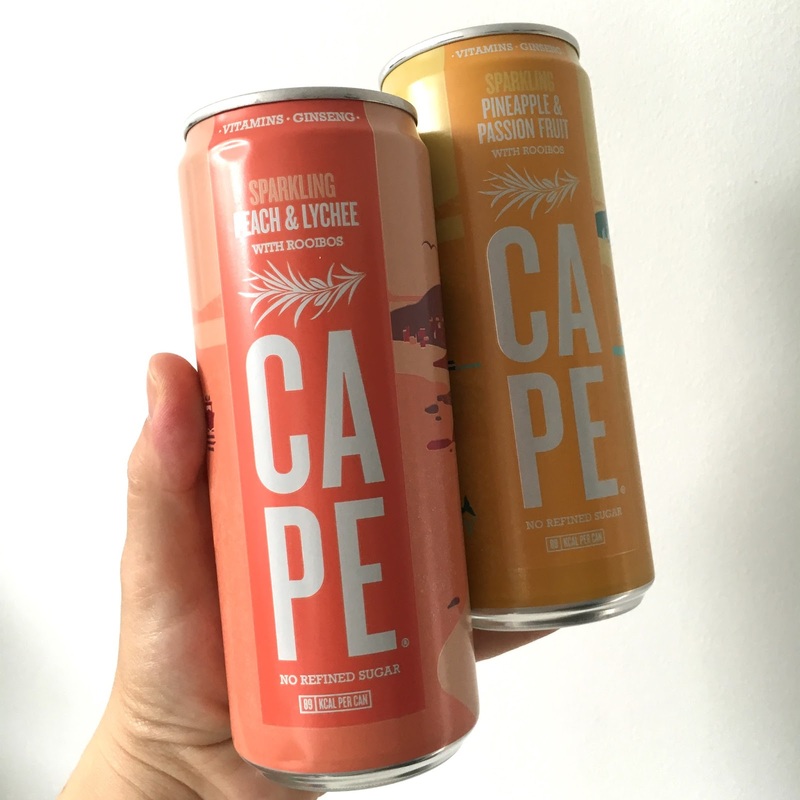 Cape Drinks contain Rooibos tea and is a sparkling drink with fruit extracts, ginseng and added vitamins. The flavour combos are right up my alley, with pineapple and passionfruit being my absolute favourite. The lychee and peach was too light in lychee flavour, otherwise it would have been perfect. Both are so refreshing, not too sweet with a gentle fizz. 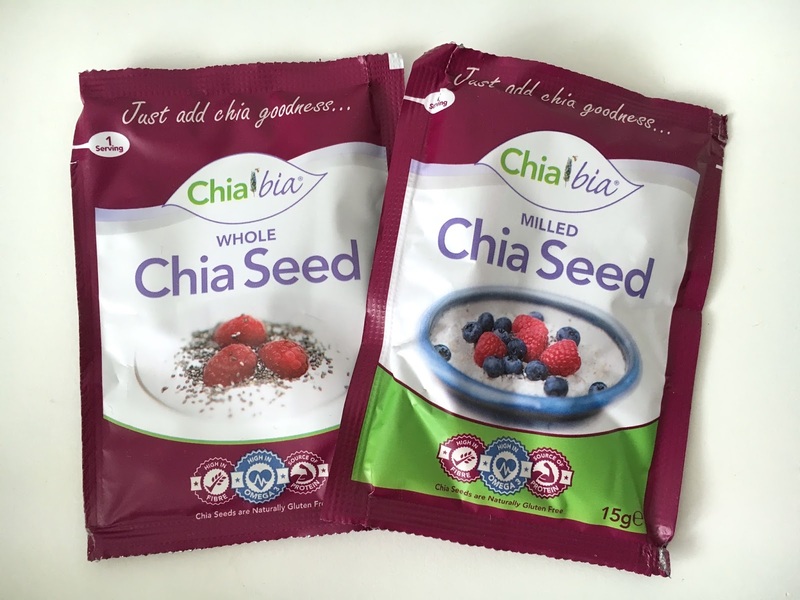 Chia Bia Chia Seeds Whole and Milled, is a superfood that I've tried in the past and is good for adding to porridge, cereals and bakes. It's packed full of omega 3, fibre, protein, vitamins and minerals. There's not much taste to them, but will add a bit of texture to whatever you add it to. 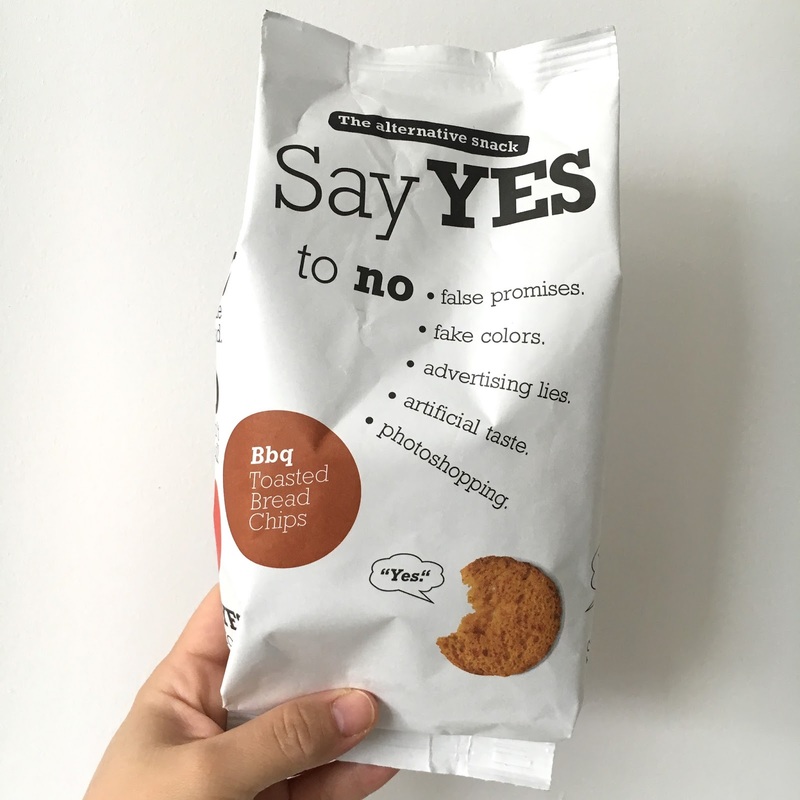 Say YES to No Bread Chips. Well that's a mouthful to remember, not sure that is a good brand name at all! So apparently they are "natural as bread, tasty like chips." They are alright, perfectly crunchy but are not a substitute for crisps (which I am addicted to). Comes in 3 flavours and available at Waitrose. 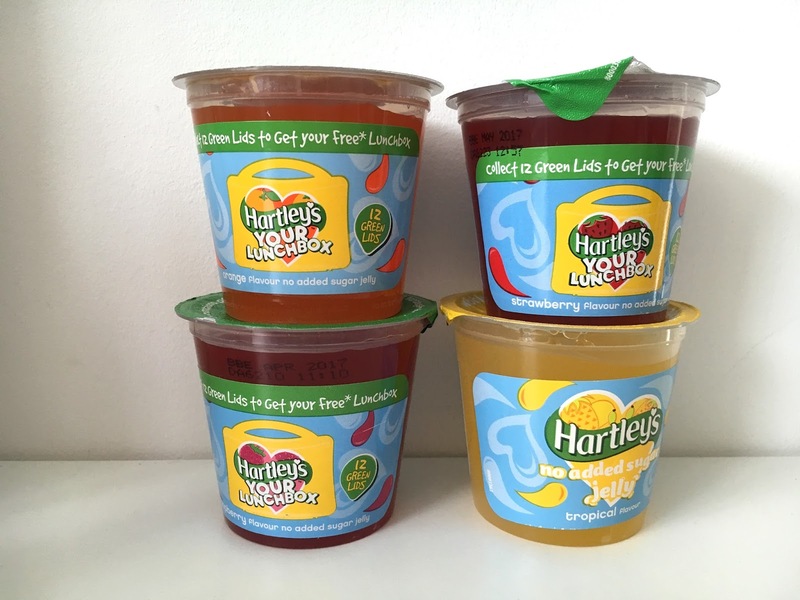 Hartley's Jelly Pots. These have no added sugar, so it's good for a low calorie snack. I'm not a big fan of these, but my friend enjoyed them. Miso Tasty Miso Soup. How about miso not very tasty. 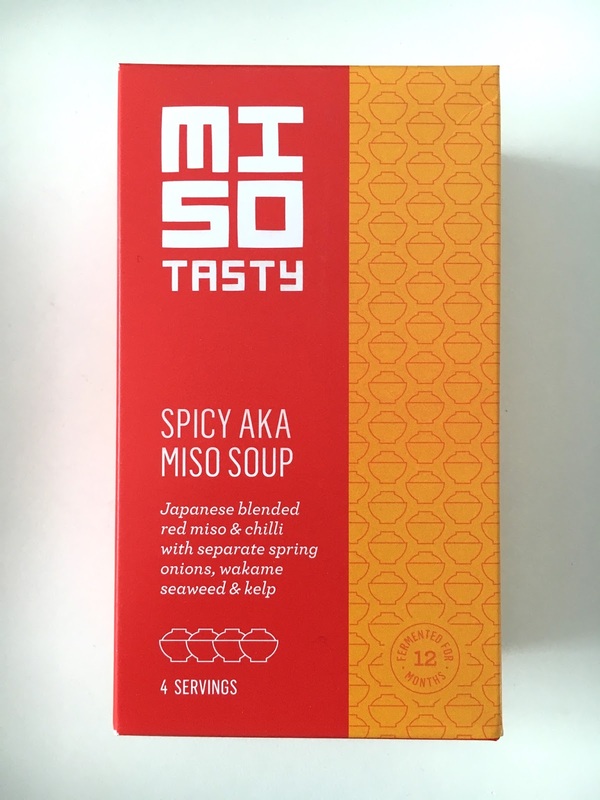 This was bland, not spicy at all and the worse miso soup I've ever had. I managed two mouthfuls and the rest went down the drain. Teisseire Sirop. This is a zero sugar squash fruit concentrate. 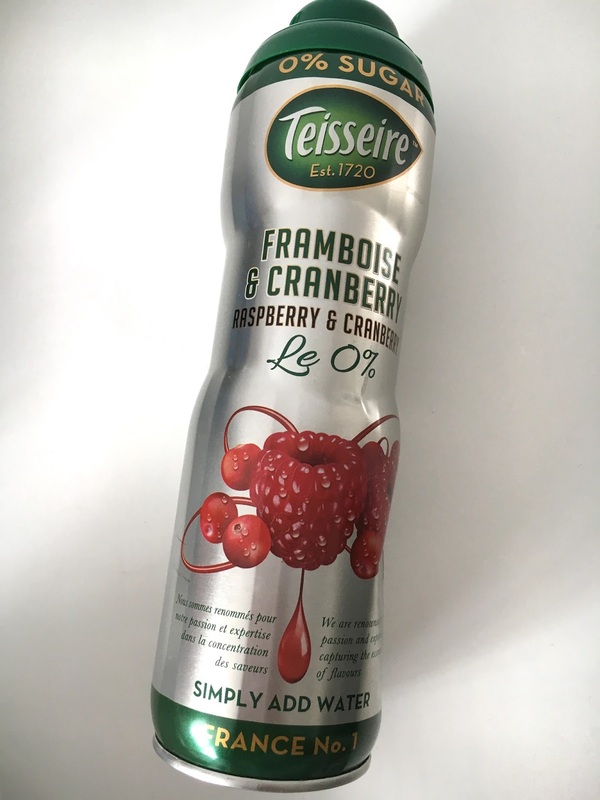 I don't particularly like raspberry and cranberry, and the packaging confused me. I thought it was a sports drink at first. The other flavours in the range would probably have suited me better, but I don't think it's a memorable drink. Mrs Crimble's Fusilli. 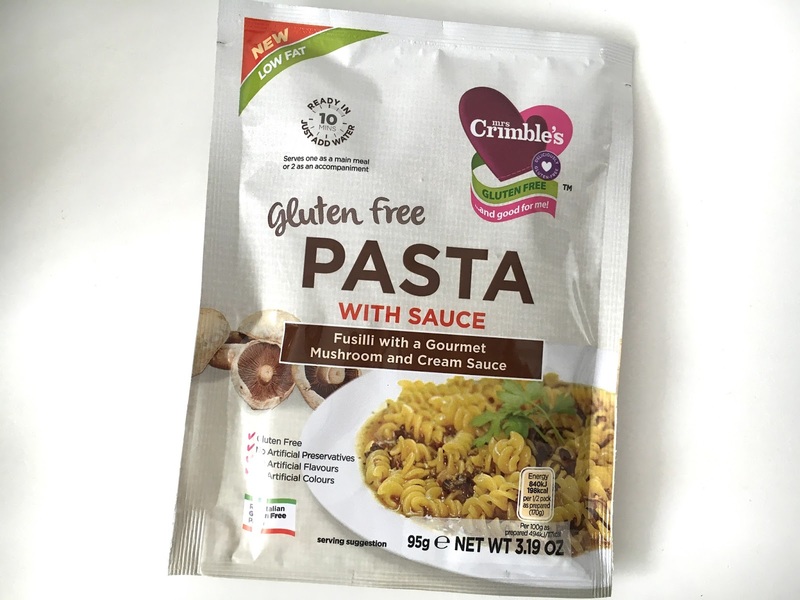 Gluten free pasta with a gourmet mushroom and cream sauce is what it claims to be, but it tasted so flat and awful that I only managed 2 mouthfuls. 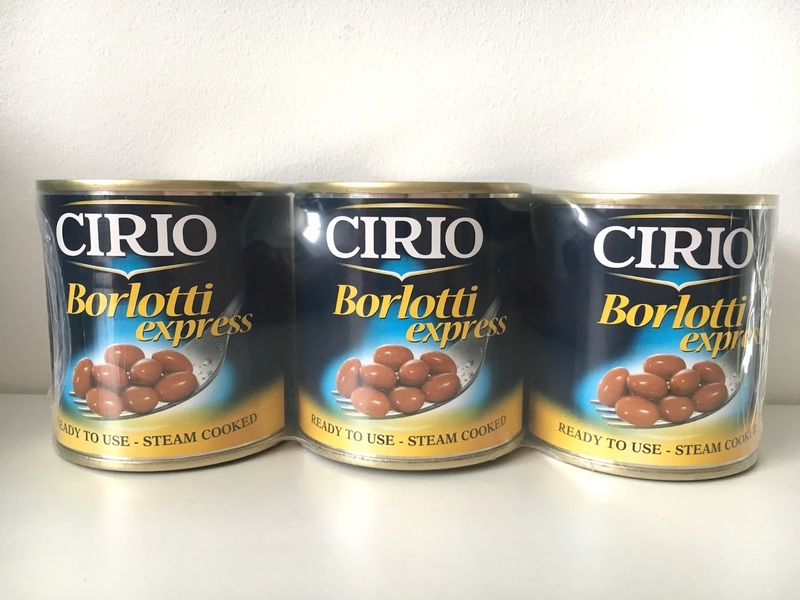 Cirio Borlotti Beans. Cirio is a brand I like a lot but I didn't really know what to do with these beans, so as of now, they are still sitting in the cupboard. Maybe I should try making a cake out of them to make things a bit more interesting. Bean cake anyone?